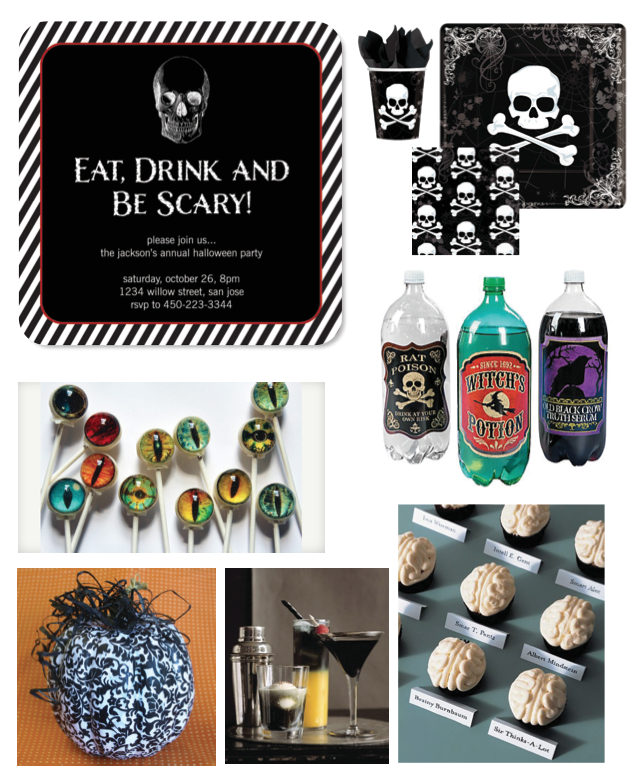 Time to get spooky with our Halloween Party inspiration board. Start with our scary skull invitation that you can find on SimplytoImpress.com and use a color palette of black and white, with pops of orange and sparkly glitter accents. Make sure to add in some spooky Halloween fog.